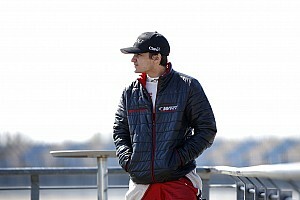 Haas Formula 1 test driver Pietro Fittipaldi will contest this year's DTM with the WRT customer Audi team. Haas F1 test driver and former IndyCar racer Pietro Fittipaldi will take part in next week's official DTM test with the WRT Audi squad in what could be a precursor to a full-season drive. Formula 1 world champion Nico Rosberg has revealed that he turned down an offer from Audi to make a wildcard appearance in the DTM this season. The R-Motorsport DTM project was originally going to feature Honda power and backing from Red Bull, the energy drinks company’s motorsport advisor Helmut Marko has revealed. Three Super GT cars will race in the 2019 DTM season finale at Hockenheim as a precursor to their first joint race at Fuji in November. 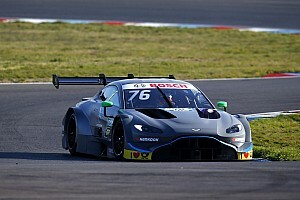 R-Motorsport says it will seek dispensation to test in-season to make up for the lack of track time its Aston Martin DTM challenger has had compared to BMW and Audi. The WRT team has been able to announce only one driver for its maiden DTM campaign this year with a pair of customer Audis on the launch of its 2019 programmes. BMW says it is highly unlikely it will field privateer cars in the DTM this year because it is struggling to find a willing customer. The Aston Martin Vantage DTM car that will be raced this year by the R-Motorsport squad has made its on-track debut at Jerez ahead of the start of pre-season testing. The R-Motorsport squad fronting the Aston Martin DTM project says there is "still a question" about whether its Vantage will be ready for the start of the season. 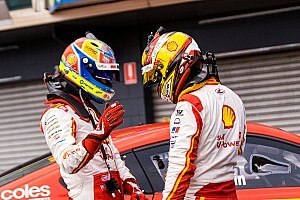 Daniel Juncadella has explained why he rejected an “attractive” offer from Nissan to race in Super GT and instead join R-Motorsport's DTM project. The R-Motorsport Aston Martin squad has completed its line-up for the 2019 DTM season by signing Dani Juncadella and Ferdinand Habsburg. Blancpain GT star and sometime Red Bull Formula 1 test driver Jake Dennis is the second driver to be confirmed in the R-Motorsport Aston Martin DTM team. Ex-Formula 1 racer Paul di Resta is to spearhead the Aston Martin attack on the DTM this season. 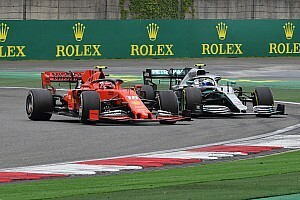 Only one standalone joint DTM/Super GT race will take place in 2019, Motorsport.com has learned. The renamed Formula European Masters series is to award a free DTM race outing to one of the top three finishers in the championship. South African racer Sheldon van der Linde will make his DTM debut in 2019, replacing Augusto Farfus in BMW's factory line-up. The DTM will use an IndyCar-style push-to-pass system alongside a revised DRS in 2019 in a bid to improve the racing spectacle. The DTM will switch its Misano round to daytime in 2019, having announced uniform start times for its 18-race schedule this year. 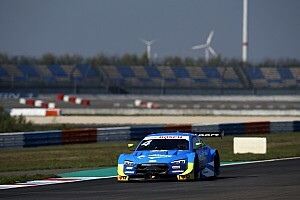 Audi motorsport boss Dieter Gass says Aston Martin 2019 DTM programme's HWA support means it will arrive in the series on an "equal footing" with its rivals.